We all have Christmas memories we cherish: hanging up stockings ready for Santa to fill full of presents; the family tucking into turkey and Christmas pud; or cwtching up on the sofa to watch Christmas favourites on the TV. But for some, like Angharad, Christmas hasn’t always been a time of happy memories, in fact last Christmas she would very much like to forget. Angharad’s husband was diagnosed with a severe mental health condition which forced him to move out of the family home for his own safety and the safety of her and her three young children. 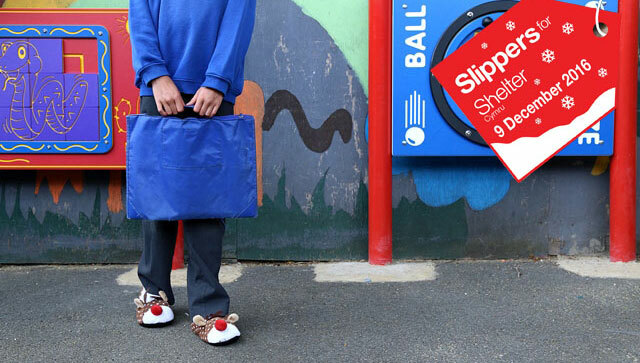 With no financial support from her husband, yet the same bills to pay and Christmas just around the corner, Angharad turned to a high-interest doorstep loan. However, in trying to keep up the repayments Angharad found herself falling behind with other bills and the family’s home came under threat. We know that sometimes life doesn’t quite work out as planned. Losing your job, serious illness, or a relationship breakdown, can cause your life to spiral out of control and in a matter of months your home’s put at risk. Homelessness is never planned. But we were able to be there for Angharad and her children, like we have been there for around half a million other people over the past 35 years, supporting them to get back on their feet and to keep their home. 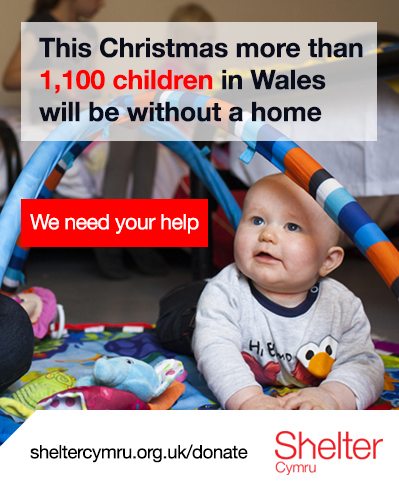 This Christmas more than 1,100 children in Wales will be without a home. help more people wake up in a safe and secure home. Sign up as a campaign supporter and we’ll keep in touch with the latest news and how you can help fight against housing need in Wales. Get involved with an event and help us to provide a crucial lifeline for families across Wales at risk of losing their homes. Without your donations, we couldn’t keep people in their homes, and there are lots of ways you can donate to us. our carol sheet and make a donation to us. South Wales singer, writer and guitarist, Paul Needs, has again put together a great piece of music in aid of Shelter Cymru this year- available to buy on iTunes.